Nature and characteristics of floods. Hydrology and hydraulic flood modelling. Introduction of 1D-2D Flood Modelling. Flood forecasting and early warning system. Introduction to modelling tools such as Mike 11, HEC-RAS, Arc GIS, HEC-Geo RAs, RAS Mapper. 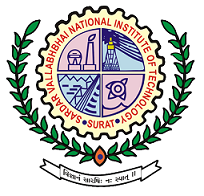 Technology, Surat – 395 007, Gujarat, India.